Savor Blowing Rock- Now on Main Street! For the first time ever, Blowing Rock’s quaint Main Street will host the main tasting event for the upcoming Savor Blowing Rock on May 2-5, 2019. Previously known as the Grand Tasting, the revamped Saturday event is called Vintner’s Village and will feature wine and food pairings right along the central thoroughfare! 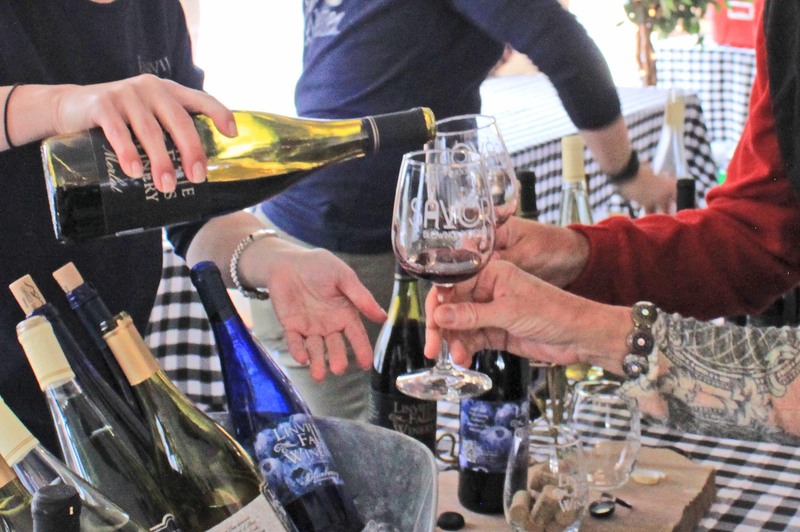 While the Vintner’s Village will showcase wines from around the globe, fans of brews and spirits can enjoy concurrent tastings at two more locations on Main Street on Saturday, May 4. Town Tavern Blowing Rock will present BBQ, Bikes, & Brews with a dozen local breweries, with proceeds benefitting the Children’s Council of Watauga County. The Speckled Trout welcomes NC distilleries at “Liquor in the Lot” from 12-4 pm on Saturday. Both events offer more food and entertainment! Two special programs offer additional visual delights. On Friday, May 3, the locally-based clean water charity, Wine To Water (W|W), will present two premiere showings of their newly released short feature film, “I Can. I Do.” A special Bodewell wine tasting will complement the film and an incredible art show with work by Jacob Daniels and Sir Tom Foolery. Throughout the entire festival weekend, visitors are invited to enjoy a special extended exhibition of Blowing Rock Art & History Museum’s study on local food, “Farm, Forage, Feast: High Country Foodways.” Selected photography from the exhibit will be featured inside The New Public House and The Speckled Trout Restaurant & Bottle Shop, two restaurants in Blowing Rock that embrace the farm-to-table philosophy. The Gospel, Grits, and Gravy event on Sunday became an immediate favorite at its debut last year, and will return for the 2019 festival. This year, Glenn Bolick and Family will be the featured musical guest. Glenn and Lula Bolick were 2018 recipients of the NC Heritage Award; they continue the Seagrove pottery heritage of Lula’s family, and Glenn is a well-known traditional saw-miller, musician, and storyteller. The event will also welcome New Covenant, who will bring a blend of Southern gospel, contemporary Christian, and worship music. Timberlake’s Restaurant will provide a delectable selection of southern breakfast favorites and flights of gravy at this event at Chetola Resort. Other perennial favorites return to this year’s lineup, like the Reserve Wine Tasting, which will welcome California winemaker Andrew Murray. The 2019 schedule also includes the Corkscrew & Brew 5K, Grilling Classes, the Taste! Restaurant Showcase, pairing dinners, and an impressive selection of wine and beverage seminars. A free parking shuttle will run on Saturday, May 4 for festival attendees. For a full listing and description of events, along with ticket sales and lodging packages, go to savorblowingrock.com. Savor Blowing Rock is produced by the Blowing Rock Chamber of Commerce, and presented by Hendrick Luxury Auto Group. Additional sponsors include Blue Ridge Mountain Club, The Spice & Tea Exchange, and Chetola Resort. Contact Us: 877-750-INFO(4636) | Email Us: info@visitblowingrock.com © Copyright 2018 Blowing Rock, North Carolina - All Rights Reserved.